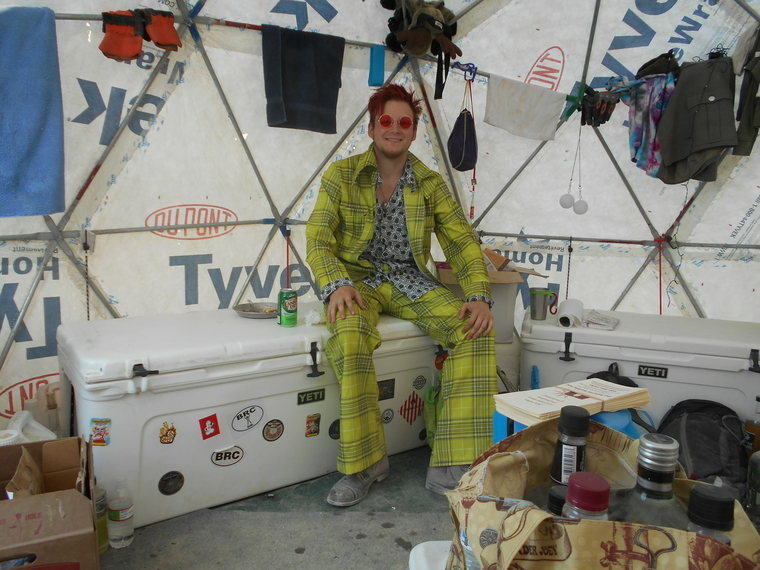 A burner is someone who has gone to Burning Man or a regional event (called a burn); basically a member of the Burning Man community. 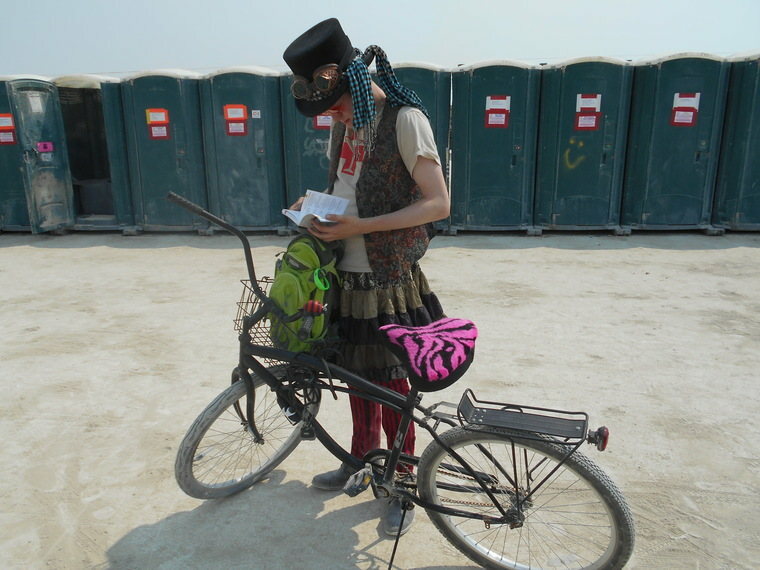 Burning Man has a distinctive culture or counterculture. The term “virgin” refers to brand new burners. At the greeter’s station the new burners get out of the vehicle to be welcomed “home”. They get to ring the bell. The greeter might suggest they roll in the dust or make a dust angel. Our first year we rang the bell but there was no mention of “embracing” the dust. I’m personally not in favour of starting your week that way. You really don’t need dust on your bare skin or all over your clothes. But go for it if you want. Just make sure you have white vinegar and wet wipes to clean your skin later. The greeters used to say that you’re not a virgin any more but some parents objected to their kids being told that. So probably not any more. When not at “burns” the burner community is very social. Many theme camps are based out of a particular city. As a newcomer to the Burning Man scene, your best bet is to connect with your local group. By the way, just so you’ll know – burner parties are always costume parties. Burners like to dress up.